Landscaping your yard is a pastime for many people but when time comes to carry out maintenance on the yard it is good to get outside professional help. Hunter’s Tree Service provides the finest services in Fircrest when it comes to maintaining and managing trees and yards. Out of these, stump removal requires professional help as technical skills are needed to properly carry out the process. Stump grinding is often used to remove the stumps and this will require a professional hand to be done properly and safely. 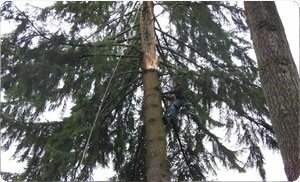 Simple tasks can still be carried out personally by the Fircrest homeowner but stump removal and stump grinding can be dangerous and should only be done through expert and professional tree removal services. Whether on a commercial or a residential property in Fircrest, a dead and rotting tree can reduce the beauty of its surroundings significantly. Therefore any old stumps that are lying around must be removed to maintain the aesthetic sense of the building, and to maintain the safety of the inhabitants. To carry out stump grinding or complete stump removal, our professionals are equipped with the best equipment making them best suited for the job. This sort of work will require experience in the field. Our tree removal services include any aspect of stump removal and stump grinding both efficiently and safely for all involved. Trees that are old and rotting are quite often a security hazard to the residents of the home. This requires that proactive action be taken before any additional problems occur. 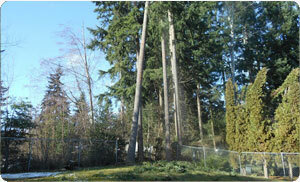 Residents of Fircrest now have access to expert tree removal services including stump removal and stump grinding. No matter when you need our services we will be there to provide them to you. 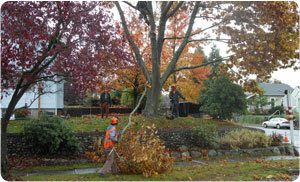 Whether they are trees knocked down by a storm or regular maintenance for your Fircrest yard, we will provide you with the best tree removal services in the business. Our tree stump grinding and stump removal services will remove any such trees from your Fircrest property in a short while and provide you with the sight of a beautiful yard. If you require such services then contact us and make your yard more beautiful and safe.